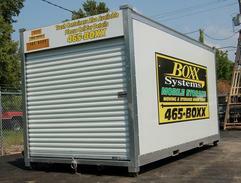 with our Mobile Storage Units! Packing, loading and unloading is hard work. 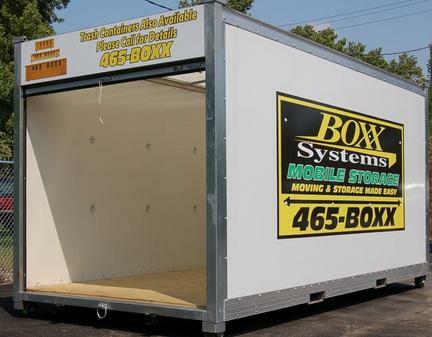 Let Boxx Systems Mobile Storage make that easier. All our mobile storage units have smooth sidewalls with tie-downs all along the wall to make for easier packing without obstacles to work around. The flush mount tie-downs help secure your belongings during transport. In addition to basic moving and storage, Boxx Systems also offers great benefits to business owners needing extra office /warehouse storage, without signing a new lease. Seasonal warehouse storage is our specialty. 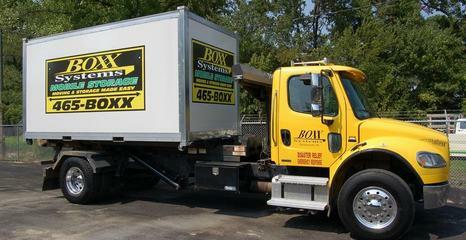 moves to your new location or to our Boxx Systems location. * Slide locking device allows more than one lock for extra security. * Only YOU have the key.